The Beurer Digital Glass Kitchen Scale stands out with a easy-to-read 25mm Magic LED Display which is only displayed during measurement. 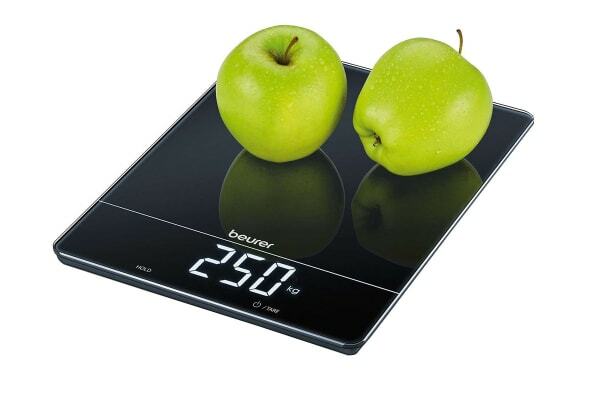 The extra-high weight capacity makes the Beurer Digital Glass Kitchen Scale a particularly practical aid in your kitchen, home, office or business accurately weighing up to 15kg. 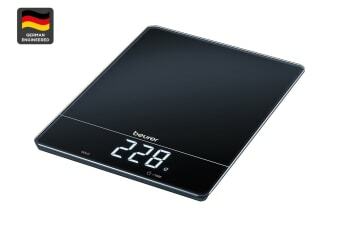 The clever hold function allows weight to be displayed after measurement, so if you’re weighing a large item that covers the digital display, the data is easily recovered with one simple touch. Additionally, it features a modern touch key operation, easy-to-read illuminated display when in use and an easy-to-clean glass surface.